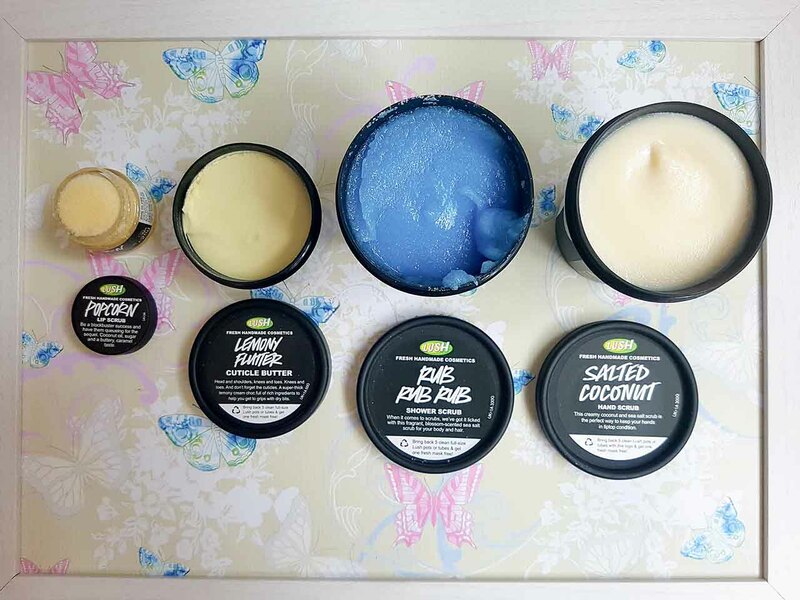 Lush Fresh Handmade Cosmetics – How Lush Are They? As a beauty blogger, I try to test as many products and brands as possible. I like to keep up with trends, new releases and innovations so that I can keep all my readers up to date! So far in 2017, I have spent a lot of time testing skincare brands, partly because as I age I am more conscious of how important my skincare routine is and what I use on my skin but also because there are so many wonderful products to try now! There is something for every skin type, every age bracket and every budget so there is no excuse not to look after your skin! From back to front I bought a Popcorn Lip Scrub, a Salted Coconut Hand Scrub, The Comforter Shower Cream, the Rub, Rub, Rub Shower Scrub, a gold eyeliner called Fantasy, the Lemon Flutter Cuticle Butter and an orange lipstick called Vibrance. Since buying them, I have used each item a number of times and absolutely love them! My reviews on each are below. 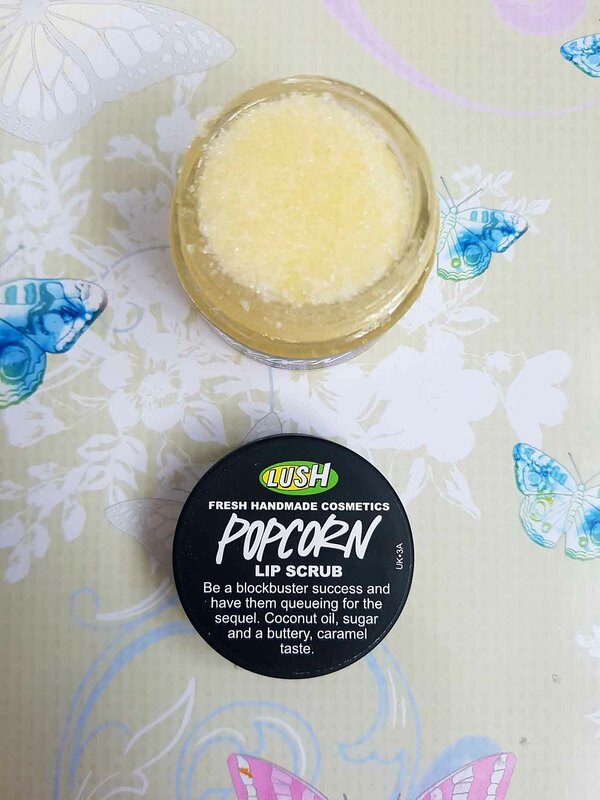 This lip scrub is designed to soften and moisturize your lips. It contains coconut oil, polenta and popping candy! All the ingredients result in a caramel tasting and smelling edible scrub and it’s just lovely. My lips definitely felt soft and smooth after use and you don’t even need to rinse your lips after using it as you can just eat what’s on your lips and let the oil that remains sink into the skin! The texture of the scrub is grainy but not too harsh or abrasive and you only need a tiny amount each time you use it. 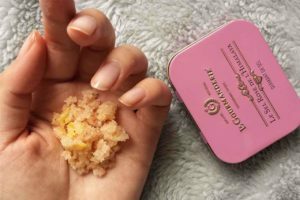 When I bought this scrub, I was suffering with dry skin on my hands and rough areas so I hoped this scrub would help to get rid of any flaky rough skin and moisturize at the same time. It contains argan oil, extra virgin coconut oil, sea salt and lemon infusion and can be used on wet and dry hands. I used it both ways and have to say it worked a treat! When used dry it is tougher on the skin but not in a damaging way – it simply works harder to remove the dead skin. When used wet it feels gentler but still leaves the hands feeling soft and smooth afterwards. 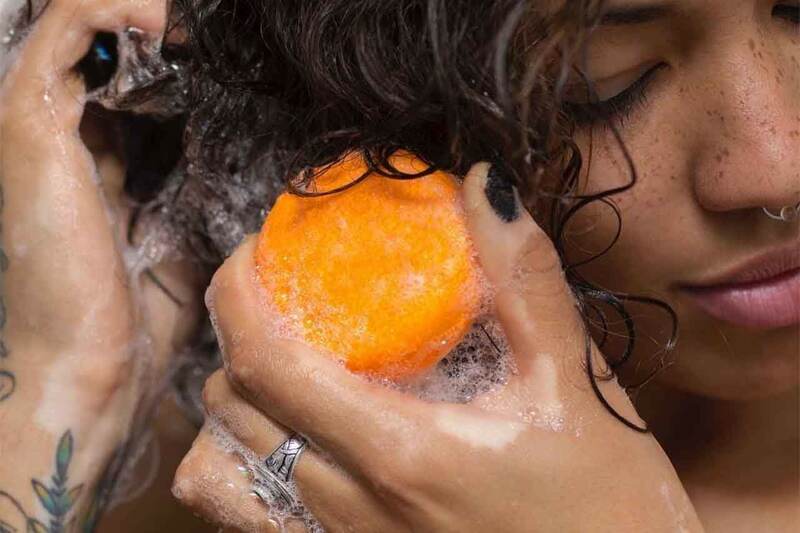 Your hands also smell lovely and fresh for a while after use! This is by far one of my favourite products! It smells divine and has a shimmer in the fluid which calls to the magpie in me! 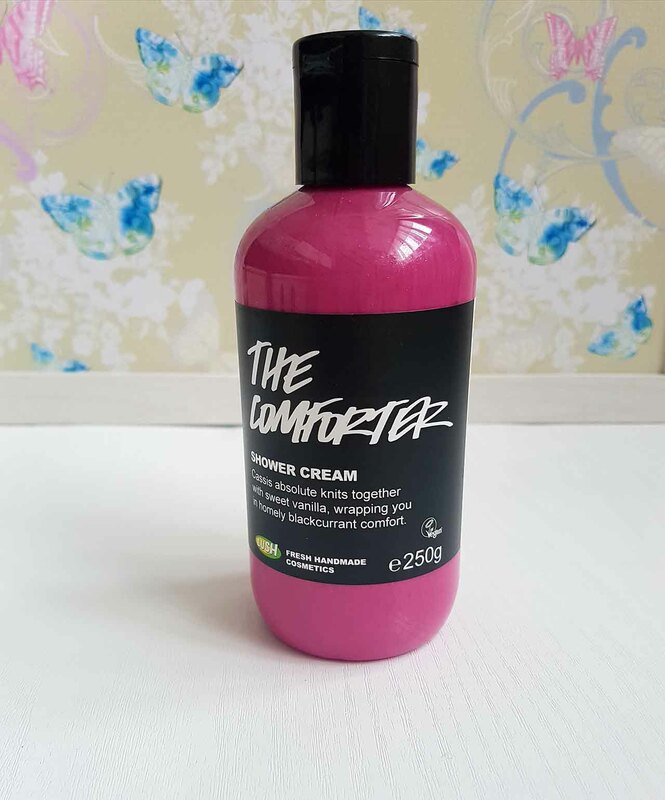 It contains Cassis Absolute (Blackcurrent), Vanilla, almond oil and bergamot oil, all of which combined create an amazing scent and colour and the cream feels silky on the skin. After use, my skin smelt great and felt soft and hydrated. I use this shower cream as a treat when I need a pampering! I love using scrubs on all parts of my body so I had to buy a body scrub from Lush to see how it would compare to other scrubs I have used. This one contains fine sea salt, mimosa absolute, fresh lemon juice and orange flower absolute. It’s quite a loose scrub in consistency and wet as opposed to a more typical dry formula. It smells very fresh when you open the container and the texture is reasonably grainy but again not overly rough when applied to the skin. It can be used on wet or dry skin and also on hair! 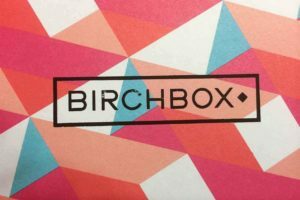 I have not used it on my hair yet as I did not realize I could until writing this post but will definitely try it! 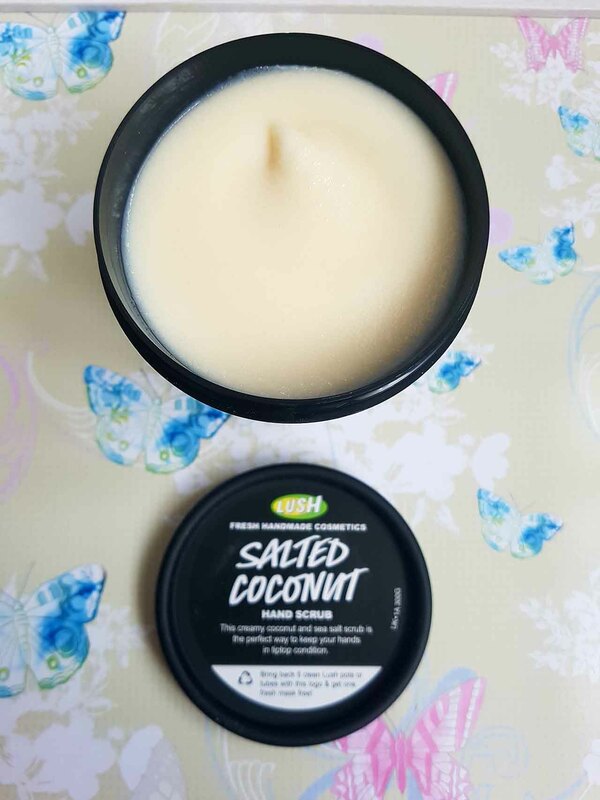 When I used it, a small amount will cover a good proportion of the body and it left my skin feeling refreshed, smooth and lightly scented. A definite keeper! If you follow me on Instagram you will know that I love playing with makeup! I am very adventurous with colour and have been trying graphic looks with colourful eyeliners throughout the Spring and Summer. So, I thought I would try this gold liquid eyeliner which can be used all year round and I am so far very pleased with it. It has aloe vera gel and jojoba oil in it and provides good pigmentation when applied (see swatch below). It has a decent applicator within the lid but can also be used with a brush and was easy to work with and long lasting. I would certainly consider buying other colours from the Lush range having tested this one! This butter is awesome! I wear false nails regularly and my cuticles often suffer as a result despite the use of hand creams and moisturisers. 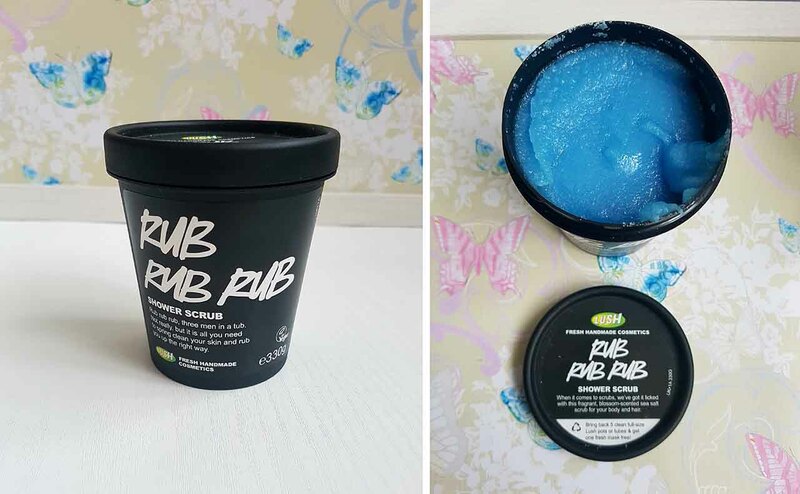 When I saw this I knew I needed to try it to see if it could combat my cuticles, and I also noted it can be used on other dry areas of the body such as elbows and knees! It contains a lemon infusion, mango butter, shea butter and tagetes oil, and the combination smells lovely. As the name suggests, it is a very thick butter consistency and you only need a tiny bit to cover the hands and any other problem areas. You instantly feel the nourishment after application and skin feels super soft and supple. With continual use the dry areas and cuticles should show improvement and I have certainly found that my dryer areas and cuticles are in better condition! It works really well in conjunction with the hand scrub too! This lipstick is a lovely tangerine orange colour and semi-opaque, as can be seen in the swatch. It contains jojoba oil, candelilla wax and rose wax making it quite moisturising on the lips. 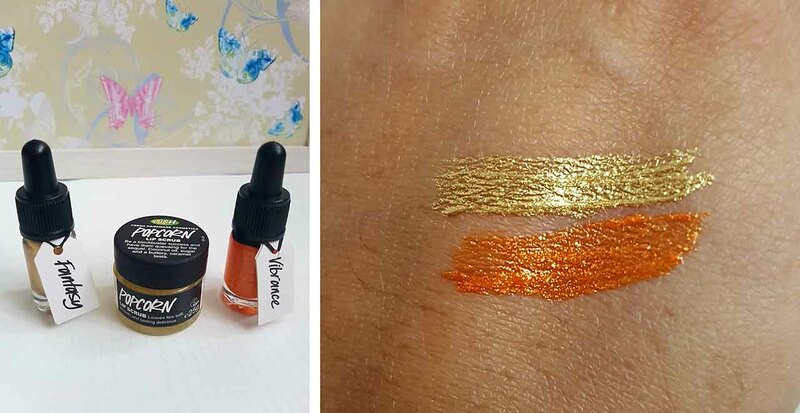 It provides good pigmentation and can be dabbed on the lips for a more natural look or fully applied with the applicator in the lid for a fuller more intense colour. It can also be used on the eyes! For me personally, after testing it as a lipstick and an eyeliner, I preferred to use it for the latter simply because I did not find it as attractive as a lipstick and I had to reapply quite often. As an eyeliner however it gave a pop of colour and didn’t budge once applied. 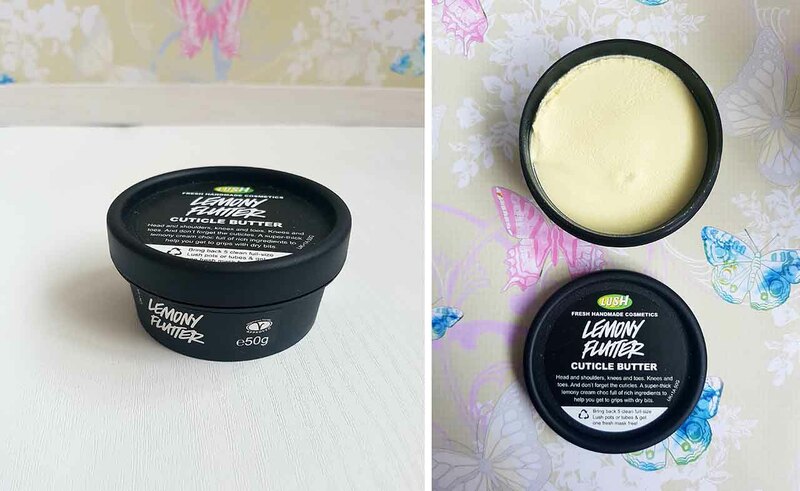 So, what’s my overall conclusion of Lush Fresh Handmade Cosmetics? Brilliant! All the items I have tested have worked well on my skin, I have had no reactions to anything and due to the size of them, they last ages! It also feels good to know you are supporting an ethical brand by purchasing from them. 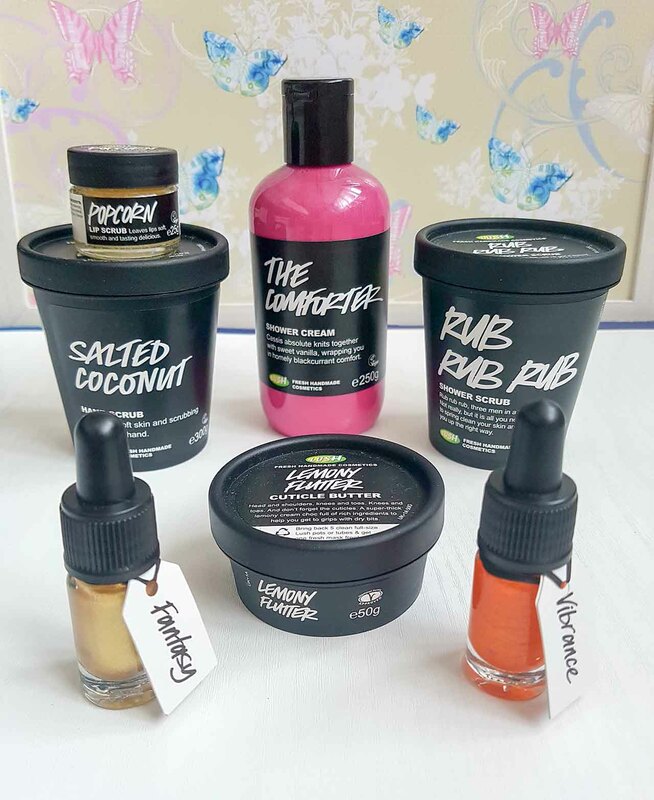 I cannot wait to try more products from the brand, especially as they are regularly introducing new and fun ranges – if you would like to know more about their current ranges and promotions, click here. I hope you love Lush as much as I now do! Previous PostImpulse Buying: Should You Really Get That? Next PostJuvia’s Place Magic Palette – It Truly Is Magical!